Sleeveless shirt for girls. Solid colour neck. Cut and sewn. Sleeve openings in matching colour. Semi-snug fit. Specially designed for basketball and volleyball. 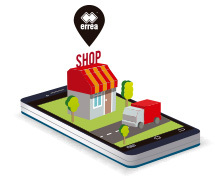 Idhra is a volleyball shirt by Erreà, suitable both for training sessions and games. It is a volleyball sleeveless jersey for ladies, extremely polished, featuring coloured inlaids on the chest area, on the sleeves and on the V-neck that characterise this garment with a fancy look. To assure the best fit and optimal comfort, this sleeveless shirt has been made in a soft and breathable stretch fabric, with micropores that facilitate quick sweat evaporation. Even during the most fought matches, your skin will always feel dry and you shall be able to use all your strength and power thanks to this sleeveless jersey for ladies, that you can wear in combination with Erreà's Dallas or Amazon shorts. 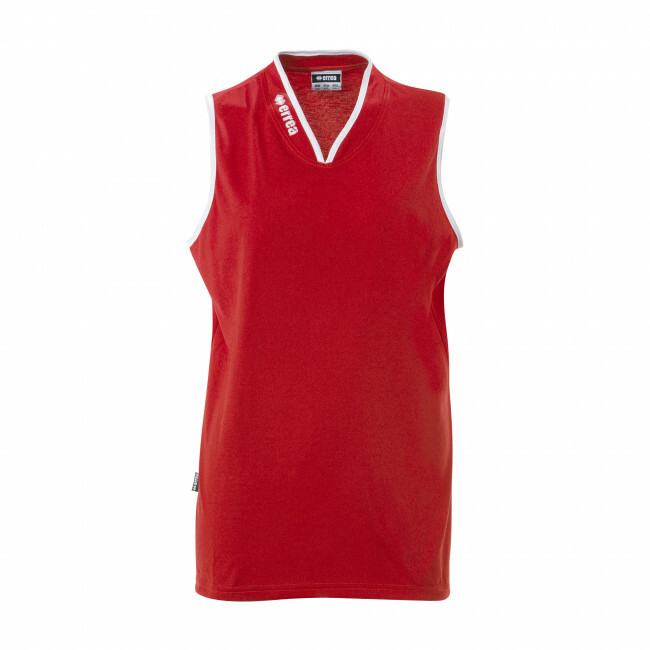 The Amazon sleeveless jersey is available in many different colours, to better suit your and your team's tastes.